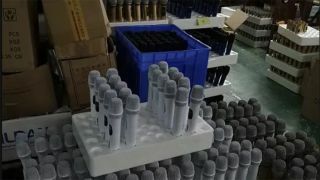 Microphone brand, Shure, has instigated a raid on a Chinese factory where police seized hundreds of counterfeit audio products. The operation was conducted last October on Soundpu Electronics Equipment, aka Voxpu Electronics Equipment, in Enping City, Guangdong who had been producing fake Shure, Sennheiser, Yamaha and Harman products. It’s not the first time that Soundpu has been found creating fake Shure wireless microphones. The Enping Administration of Industry and Commerce made the initial discovery during a routine investigation back in April 2018. 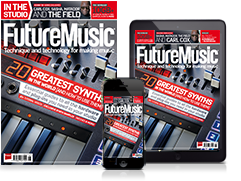 With this repeat offense, Shure fully intends to follow-up with a lawsuit against the Guandong-based firm and it is enlisting the help of Sennheiser, Yamaha and Harman. Whether this action will put a halt, in the long-term, to the activity remains to be seen. Just a cursory glance at the Soundpu/Voxpu website and many of its products could easily be mistaken for those made by better-known manufacturers. A Voxpu power amplifier (top) offered on Soundpu's website. A real Yamaha P3500S amplifier (centre) and the counterfeit P3500S (bottom) seized at Soundpu's factory in China.